A/S Norske Shell, Statoil and BP Norway Limited U.A. A/S Norske Shell secured interests in two eighth-round production licences (PLs), including PL 087 in block 16/4 where Norsk Hydro was operator. Two dry wildcats have been drilled there. However, Shell was named operator for PL 093 – which today encompasses the Draugen field – with Statoil and BP as its partners. This licence proved an immediate success. Its award was announced on 9 March, the first wildcat was already under way on 26 June, and the well had been completed by 7 September. Clear indications were found of a good-quality and substantial reservoir containing primarily oil. Making a discovery within six months of the licence award was unusual. Shell also managed to maintain a rapid pace in developing the find. The plan for development and operation (PDO) was approved in 1989, less than five years after the discovery. Moreover, Draugen came on stream within a decade of being found – about five years faster than other NCS fields in the same order of size and during the same period. A total of 17 blocks were awarded in 1984, with PLs numbered from 86 to 100. Five were in the North Sea, five in the Norwegian Sea between Trondheim and Brønnøysund (including Draugen) and five in the Barents Sea. The eighth licensing round has proved one of the most successful set of awards made on the NCS with regard to the number of commercial discoveries. At the time, North Sea block 34/7 attracted the greatest expectations. This acreage was covered by PL 89, which has proved to contain various reservoirs developed under different names. Snorre produces through two platforms, while little Sygna is a subsea field tied back to Statfjord along with the Statfjord East satellite. In addition come two further subsea developments – Tordis and Vigdis. These have been tied back to Gullfaks C and Snorre A respectively. Tyrihans (Norwegian Sea), on stream July 2009. In addition, the Peik discovery is under consideration for development in 2018 – more than 30 years after the block was licensed. Four of the licences are considered non-commercial. Blocks awarded during the eighth round contain recoverable reserves of nearly 11 billion barrels of oil equivalent (1.75 billion standard cubic metres). [REMOVE]Fotnote: Oljedirektoratet. 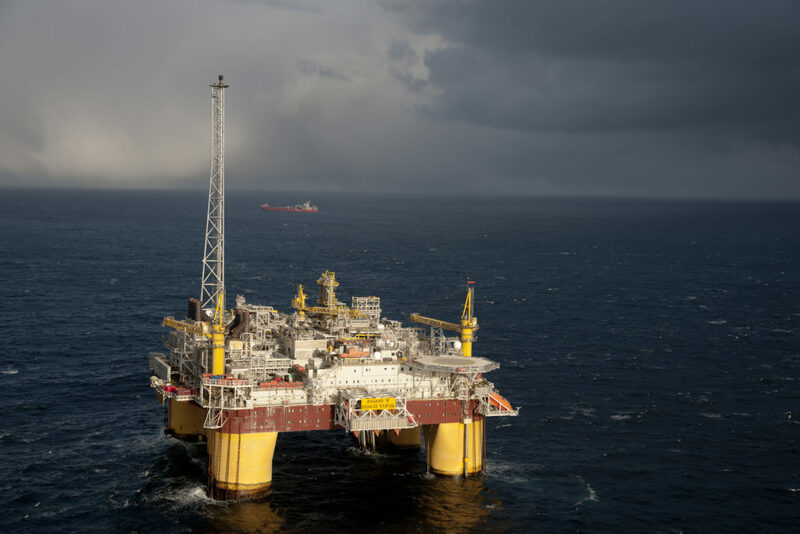 (2018) Faktasider – Felt – Reserver Hentet fra http://factpages.npd.no/factpages/Default.aspx?culture=no Lastet ned 27.04.2018 That corresponds to almost a fifth of all the oil and gas discovered on the NCS.